Building community around your child with ASD/NDD is one of the most important activities parents and caretakers can engage in. What this might look like will vary from child to child depending upon their interests, sensory challenges and flexibility. By looking at what is available in your area, and taking into account the child’s personal preferences, programs can be created that will expand self- esteem and confidence. Interactions with the community, whether it be speaking with a clerk at a grocery store, taking a public bus or joining a local volunteer group can bring joy and happiness. What are my child’s interests? What are his/her likes and dislikes? What makes your child tick or motivates them? What kind of support will he need to successfully participate? How can I build support around these activities? Does your child need a one-on-one aide to participate? What opportunities are available through school, after-school programs, or school sponsored clubs? What kind of sensory integration or processing issues does your child have? What kind of environment works best for him/her? There are ways to support your child to help make community interactions successful. Social Stories are a great tool for describing what a new situation might be like, and what the social expectations would be. 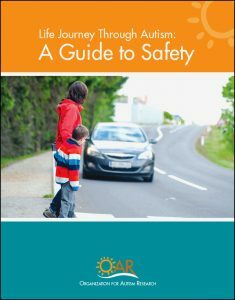 Using Visual supports, such as the ones described in the book“ Making Visual Supports Work in the Home and Community: Strategies for Individuals with Autism and Asperger Syndrome” are also a way to let the child know what is going to happen and help ease anxiety in a way that has visual imagery and less language than social stories. Building community around a child has the added benefit of teaching important life skills. No matter where a child lands on the spectrum, these are skills that need to be directly taught. What do you need to do to get ready to leave? What do you need to do to complete the Girl Scout project? As a child learns to interact in the community, they gain necessary skills they will need to be more independent. Each child with autism will have a different measure of success. For some, putting on clothing, remembering to eat, or simply being able to navigate daily tasks will be the goal. For others, it will be remembering to get to class, or performing tasks at their jobs. As your child grows you will see some of the early work on life skills paying off in certain areas. In some areas, they might always need support in others they will become more and more independent. Below is a helpful list of categories for the basic skills necessary to meet future success within the community at large. Executive Functioning Skills: These are organizational skills that are needed to understand the passage of time, organize materials, and plan how to get something done. They also are the skills used to self -regulate and control behavior. It will be an on-going process to build this skill, as it is something that is challenging for most of those with ASD/NDD. Practical Living Skills: These skills encompass finding information (internet, books, newspapers etc. ), money skills (budgeting, bank accounts, credit cards, making change), travel (reading a map, using transportation, planning a trip), clothing (care, laundering, organizing), home care (garbage day, housecleaning, doing dishes) cooking, and shopping. One of the best ways to teach these skills is through involving your child in your daily routine, rather than doing everything for them. The earlier you include your child in activities such as cooking, cleaning, and laundry, the longer they have to develop comfort and routines in these important areas. Personal Care: This would involve personal daily hygiene, exercise, and nutrition, dealing with an illness such as a cold, and coping with stress. Create and rehearse relaxation routines, make task breakdown lists for showering, toileting or tooth brushing if steps are missed without prompting. Personal Safety: A tough topic to teach! Many children with ASD/NDD will memorize rules like don’t talk to strangers, but not understand who a stranger is (is it the neighbor who says hi every morning but you do not know his name, the clerk at the store or the stranger at the door?) or when it is OK to break this rule. Learning to navigate sidewalks, crossings and the community environment can also be a challenge. These are two good resources that address the full range of safety challenges. 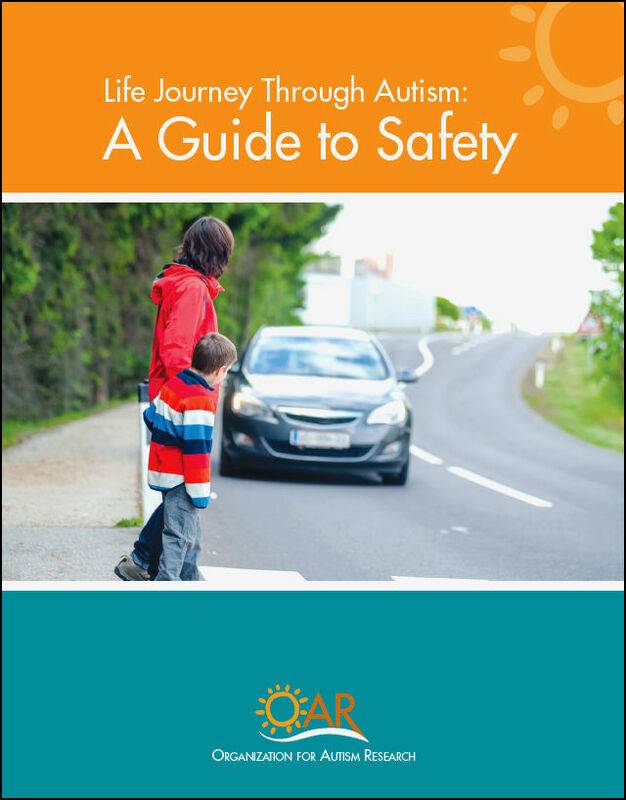 The Autism Safety Project is designed to provide families affected by autism with tips, information, expert advice and resources so that everyone in our community can stay out of harm’s way. ASAN, Autistic Self Advocacy Network‘s – Autism & Safety Toolkit was created by autistic self-advocates, focusing on safety issues that can affect them and the tools to deal with them. Social Skills: Areas that need to be developed are working in a group, making friends, asking for help, dealing with family relationships, communicating over the phone, how to start a conversation and how to end one, etc. Social skills is a broad topic. Although social rules and etiquette can be taught, think about teaching flexibility in thinking and perspective taking. A Quest For Social Skills For Students With Autism or Asperger’s: Ready-To-Use Lessons with Games, Role-Play Activities, and More! ♦ being able to explain your disability either by the use of written words, pictures or gestures. ♦ It is never too early to begin to teach self-advocacy skills. The acquisition of life skills is an on-going process. All skills take time to acquire and become fluent with.You may want to talk to your child’s school about integrating life skills into their education plan. Models appropriate behavior in stressful situations, including waiting, transitions, birthday parties, handling criticism, & more. ♦ Inside Out: What Makes a Person with Social Cognitive Deficits Tick?